This famous brand is now shown within the Habanos Collection. Habanos S.A. is proud to present the Trinidad Habanos Collection Case. 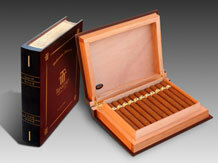 As usual this case resembles a book that has resulted from the expert hands and great skill of Cuban craftsmen. Its production limited to only 500 cases results in a very exclusive item for those who looks for perfection. Trinidad is named after the beautiful 16th Century city of La Santísima Trinidad (The Holy Trinity), listed by UNESCO as a historical monument, which is situated on Cuba’s south coast. Trinidad, as a Habano, dates back to 1969 but for many years, like Cohiba, it was made only for gifts to foreign diplomats. Not until 1998 was it released for general sale. All Trinidad sizes are totally hand made, long filler and they are manufactured with the best leaves that comes from the best crops of the Vuelta Abajo region. Comprising 20 Habanos which are called Torre Iznaga named after one of the towers erected in the city of Trinidad back in 1816, this heavy ring gauge vitola has a girth of 52 and 152 mm in the length. 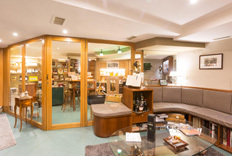 Along its dimensions it will provide smokers a unique experience regarding medium flavoured taste and delicate aroma, features that undoubtedly please the most demanding palates of passionate smokers. 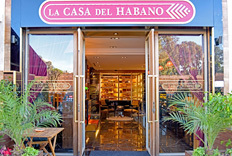 The Trinidad Habanos Collection Case will be available exclusively in “La Casa del Habano” international network in next weeks.